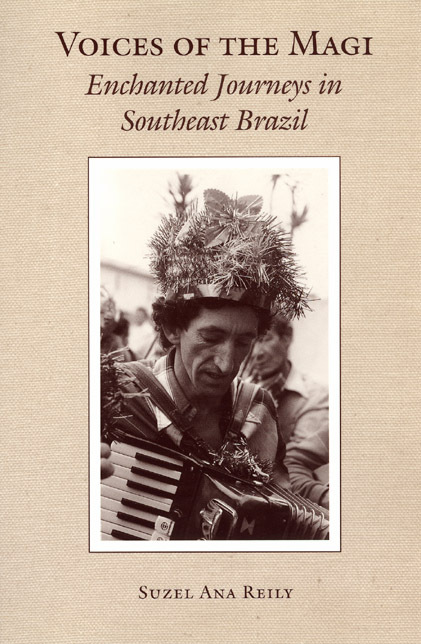 Voices of the Magi explores the popular Catholic musical ensembles of southeastern Brazil known as folias de reis (companies of kings). Composed predominantly of low-income workers, the folias reenact the journey of the Wise Men to Bethlehem and back to the Orient, as they roam from house to house, singing to bless the families they visit in exchange for food and money. These gifts, in turn, are used to prepare a festival on Kings’ Day, January 6, to which all who contributed are invited. Focusing on urban folias, Suzel Ana Reily shows how participants use the ritual journeys and musical performances of the folias to create sacred spheres distinct from, yet intimately related to, their everyday world. Reily calls this practice "enchantment" and argues that it allows the folia communities to temporarily make the social ideals of mutual reciprocity and equality embodied in their religious beliefs a reality. The contrast between their ritual experiences and the daily lives of these impoverished workers, in turn, reinforces the religious convictions of these devotees of the music of the Magi.